Right-handed pitcher Shumpei Yoshikawa has signed with the Arizona Diamondbacks and broken amateur baseball rules in the process, informed sources said Friday. 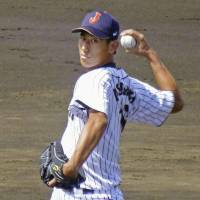 The 23-year-old Yoshikawa was expected to go high in Nippon Professional Baseball’s amateur draft this October. He is the first marquee amateur to skip NPB and sign directly with a major league club since pitcher Junichi Tazawa signed with the Boston Red Sox in December 2008. 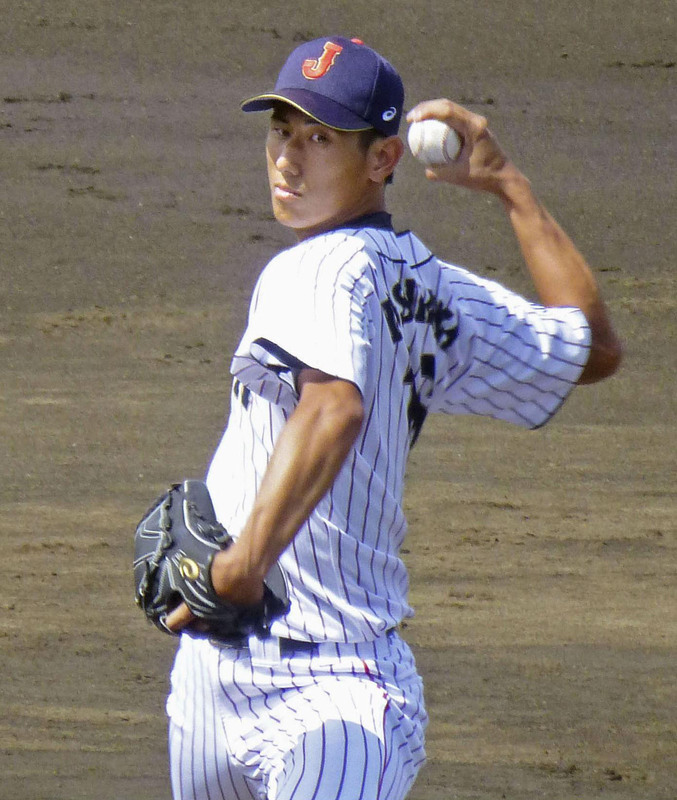 Japan’s amateur baseball federation requires players to have their player registrations deleted the day before they enter into a pro contract, but his corporate league team, Panasonic, announced Friday that Yoshikawa had violated that rule. It is said that Yoshikawa began contract negotiations with the Diamondbacks before filing the proper documents — and was in touch with the American club even before the end of the Intercity Baseball Tournament last month. Both Yoshikawa and the director of Panasonic’s baseball department have said they were unaware any rules had been broken. MLB teams ostensibly have better access to Japanese amateur players than their NPB counterparts. This is due to NPB teams flouting amateur baseball rules in the past, including signing amateurs during the season and paying off amateur players. By signing with the Diamondbacks, Yoshikawa has essentially excluded himself from ever playing for Japan’s national team in the World Baseball Classic. In the days prior to Tazawa’s signing with the Red Sox, NPB tried to blackmail him by instituting the infamous Tazawa Rule. This rule effectively bans a player from ever playing in NPB or for the national team. In other MLB news, Seattle Mariners pitcher Hisashi Iwakuma will play for Single-A Everett AquaSox in a game on Sunday, his first actual mound appearance since undergoing right shoulder surgery last September, the team announced on Friday. The 37-year-old, who has spent all six years of his MLB career with the Mariners, has been sidelined since last May due to shoulder issues. The 2017 season, in which he missed all but six starts, was his first in the majors without posting a win. Iwakuma has endured ups and downs as he tries to rehabilitate his shoulder at the club’s facilities in Seattle and Peoria, Arizona. On Tuesday, he pitched to Ichiro Suzuki, now the special assistant to the chairman of the Seattle Mariners, in a live batting practice. In his MLB career, Iwakuma has a 63-39 record with a 3.42 ERA over 150 games. In game action, Marwin Gonzalez hit a grand slam and Jose Altuve and Carlos Correa also homered to lead the Houston Astros to a 9-3 win over the Los Angeles Angels on Friday night. Dallas Keuchel (10-10) allowed two runs and five hits in seven innings, striking out six and walking two. Shohei Ohtani pinch hit for the Angels and struck out. The defending World Series champions have won three straight and four of their last five games to maintain a 1½-game lead over Oakland.